Robots are historically repeatable but not accurate. Today many automation tasks require improved process control and a higher order of accuracy than that delivered by robot manufacturers including aerospace machining, drilling and assembly operations. API offers robot performance verification and calibration services providing improved control of manufacturing processes. Improved robot accuracy increases control of manufacturing processes. API qualified and experienced robot calibration team are available to enhance your robot performance. "Discover how to improve your robots accuracy and performance." 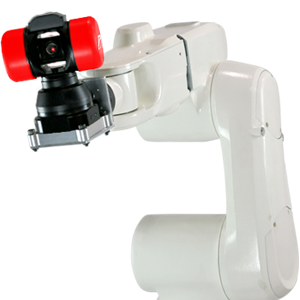 Quantifies robot performance in accordance to ISO 9283. Robot performance verification is the process of identifying the real geometric parameters present in the kinematic structure of a robot, such as relative positions of robot joint links. A total of 14 static and dynamic tests are used to quantify a robot’s absolute performance determining robot accuracy, repeatability and identifying inherent robot joint wear. 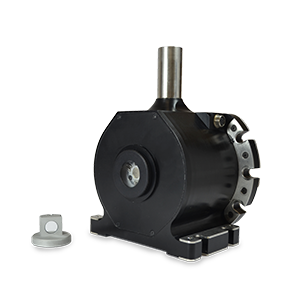 Typical applications for enhanced robot accuracy include machining, drilling, grinding, welding, cutting, inspection, deburring and 3D printing. Activities such as robot cell “cloning”, “cell mirroring” or “robot swapping” also benefit from enhanced robot accuracy by providing seamless and precise off-line robot programming. Accurate robots improve process capability as a robot positions more accurately to its commanded position negating the ‘touch-up’ of robot programs. API's Robocal software offers both DH kinematic model and a volumetric error compensation model (VEC) to update robot accuracy using collected calibration data. Existing robot path programs can be automatically updated driving the robot to its corrected calibrated positions. API’s RMS software provides a single seamless solution for robot process performance enhancement and optimization. 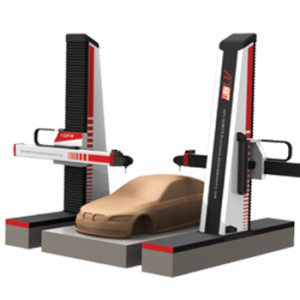 RMS can be supplied as a Robot Performance Measurement (RPM) module or combined Robot Calibration (RoboCal) and Robot Path Plan Enhancement (PPE) module. Let API show how enhanced robot performance can benefit your process.